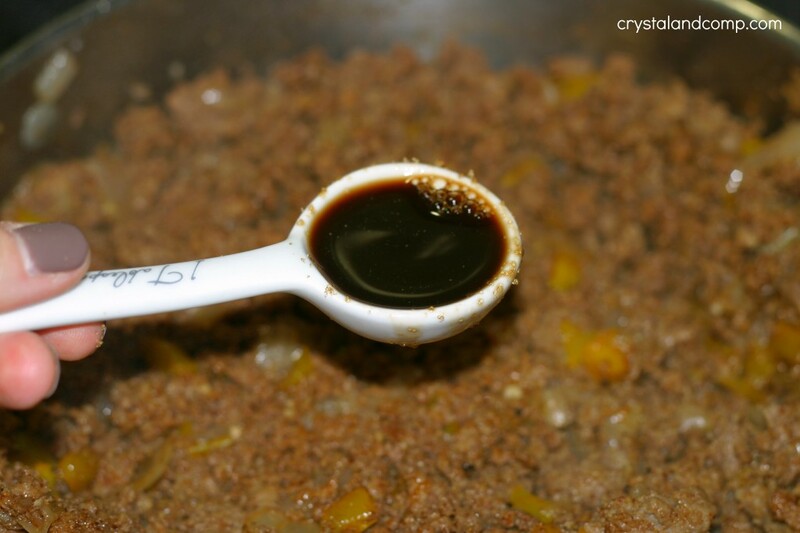 If you are looking for a good homemade sloppy joe recipe, I have one for you. This version uses things you will already have on hand and the flavor is out of this world. It will remind you of being a kid and playing kickball outside until the street lights come on . Childhood on a plate! 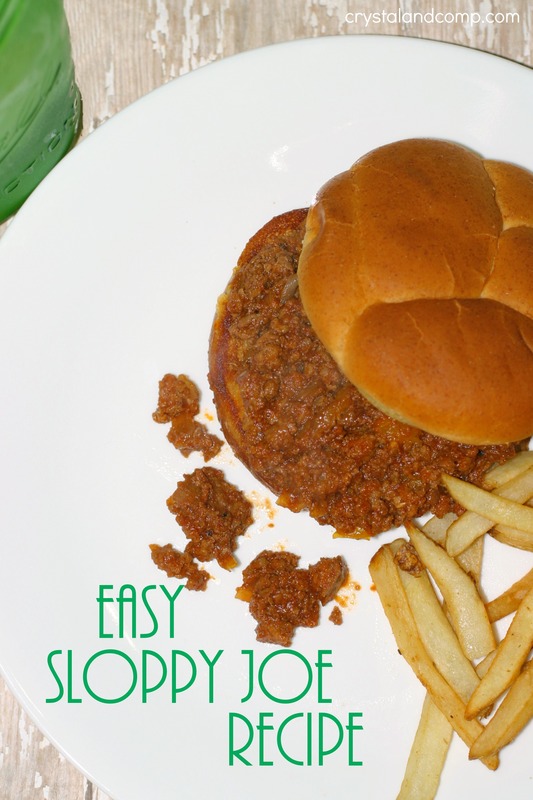 Are you ready for this easy sloppy joe recipe? This is perfect for a busy weeknight when there is no time to stand in the kitchen over a stove with long lists of ingredients. 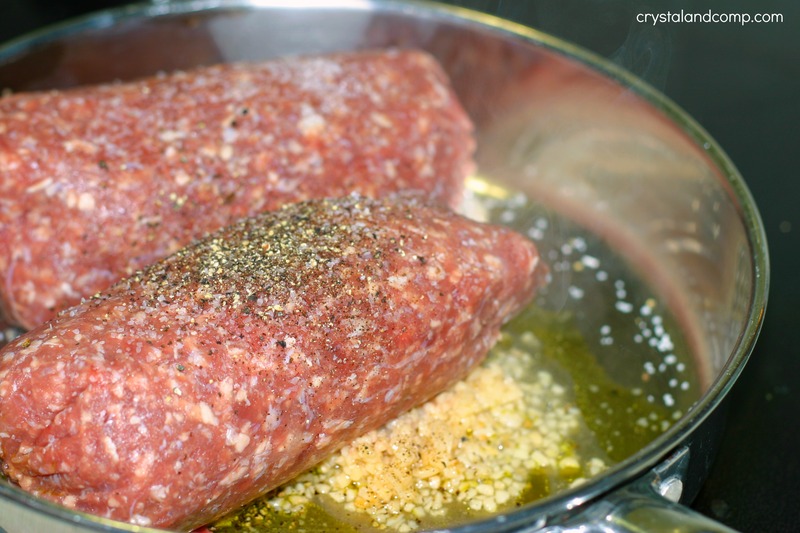 In a large skillet add the olive oil, garlic, beef and salt and pepper. 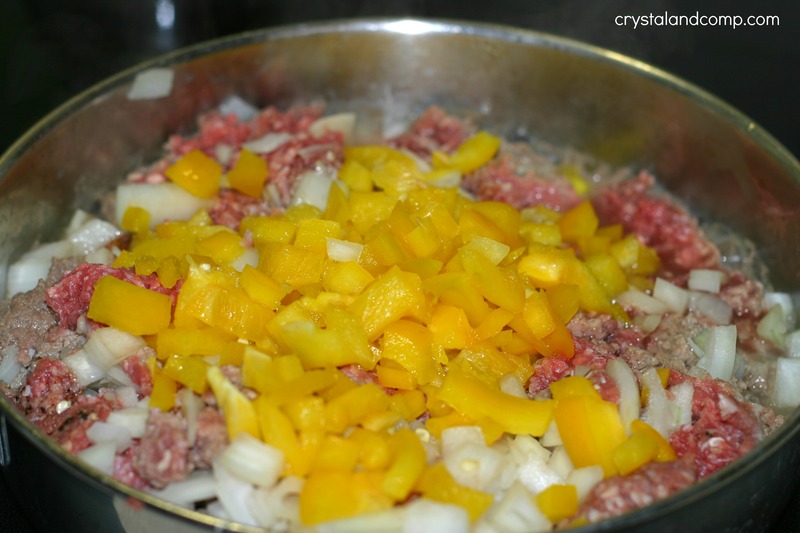 Add in the bell pepper and onion. Cook over medium heat until brown. Once the meat is brown add in the spices and brown sugar. Add in the Worcestershire sauce. Stir the meat to combine. 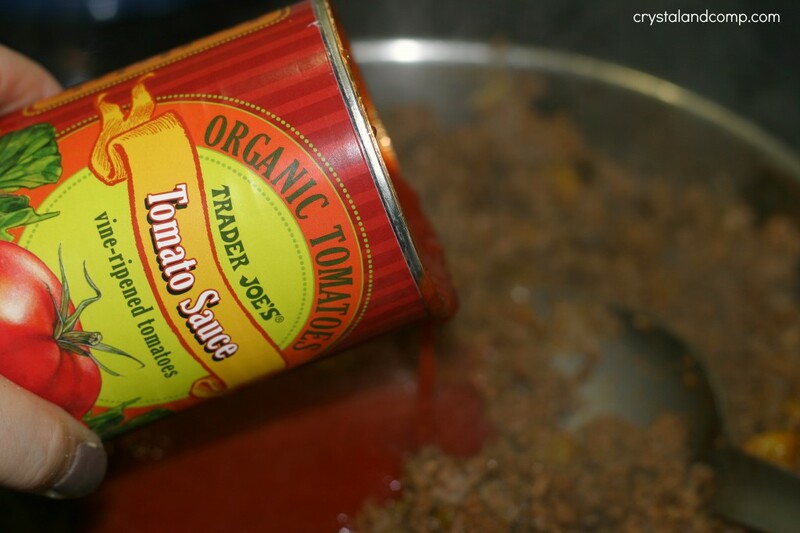 Add in the can of tomato sauce. Mix everything together well and let the flavors come together over medium heat for 3-5 minutes. Turn the heat up to high and add some butter to your griddle. 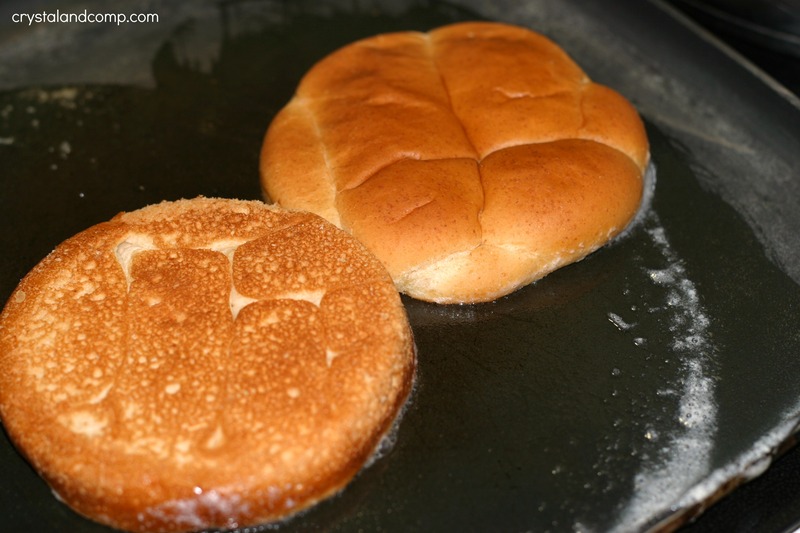 Place the buns face down on the griddle and toast until brown. Add a heaping of sloppy joe mixture to the buns. We served this with baked french fries and some fruit and a big glass of water. Let me say, I am not a huge fan of sloppy joes, but these were amazing! The flavor was divine! I am planning to take the leftovers and warm them up and serve them over steamed rice. It will make a totally different meal and my kids will enjoy it. There is really only enough leftover to make lunch portions. 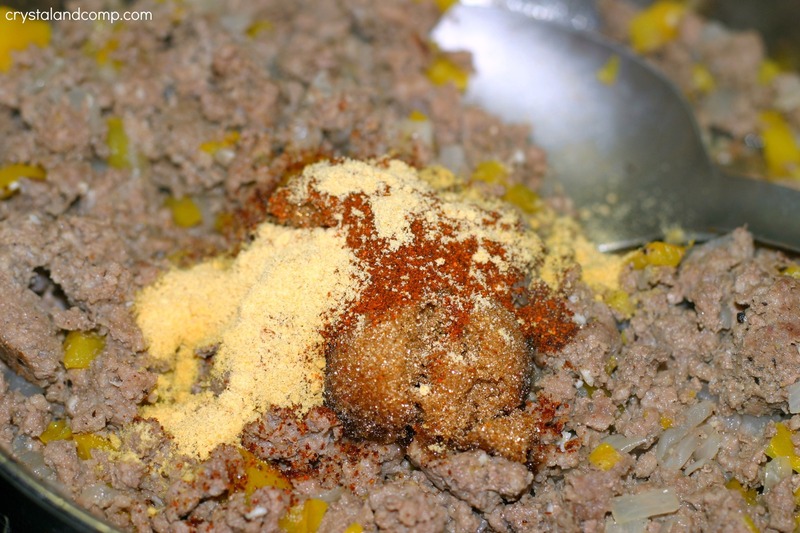 The flavor in this meat sauce is AMAZING! I loved it and I’m not a huge sloppy joe fan. I have no idea what the name is. I have not had a sloppy joy in FOREVER. I think I’ll have to make some soon! Love how you toasted the buns on the griddle. Great idea! Love sloppy joes! Toasting the buns adds so much flavor (and crunch)! For me, the hamburger meat has to be quality beef. I do not like for the meat to be gristly or fatty. We now have our beef processed ourselves so we specify exactly how we want each cut done. It sure makes beefy meals so much better! I prefer homemade over the canned. I love how easy the recipe is too! 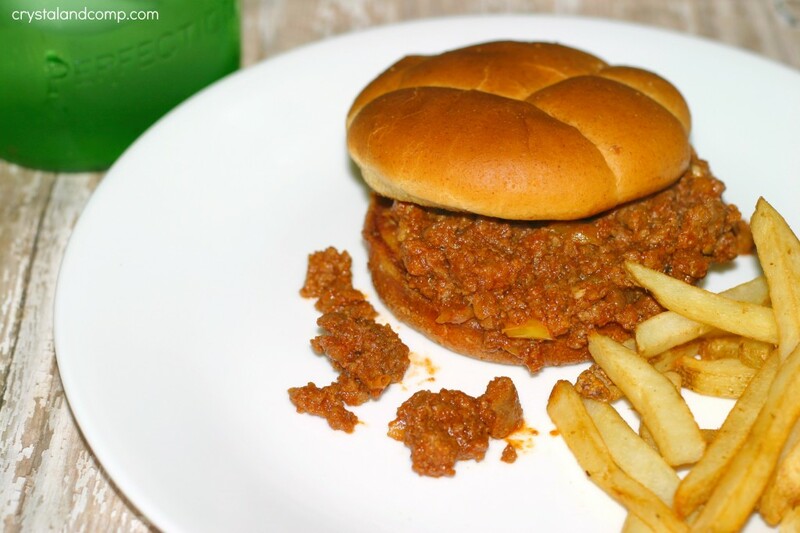 Is it okay to admit that at almost 50 sloppy joes are still one of my favorites! Always welcome easy recipes that even my husband can make after work! Those look so good! We were just doing ketchup and barbecue sauce…lol. Pinning! Selena @ Look! We’re Learning! recently posted..Weird Science Facts for Kids with Ripley’s Reality Shock! Ok, you’ve inspired me. We LOVE sloppy joes and are having these tonight. Looks yum. This is my ultimate comfort food with a side of mac & cheese! I’ve never tried it with a toasted bun though. Guess I know what I’m making this weekend! Oh, my kids would have loved it even more if I’d served mac and cheese as the side! Yum! This looks really good. Thanks for sharing this awesome little recipe that does look easy to make. ohhhh not only yummy sloppy joes but a toasted bun 🙂 Very awesome tute and so making me hungry! Thanks for sharing at our Snickerdoodle Sunday! Oh Crystal! Forgot to mention your Easy Sloppy Joe recipe is the most viewed from the party!! You will be featured next week 🙂 See you then! Hi. My sister is getting ready to have her third baby and I’m making at least two months worth of freezer meals for her. This looks like it will be a great addition to the mix. Thanks for sharing! Yay! Awesome. She will love this recipe! Sloppy Joe really makes me hungry. It looks so good and delicious. Thanks for sharing it.